Original Paintings Archives - Heritage Calls, Inc. If you read my biography it talks about my love for painting. I love all types of paintings. My obsession with art runs deep from religious to landscapes, fine art portraits and animals. It spans time from the old Dutch masters entering baroque and rococo through the impressionists into modern and abstract. 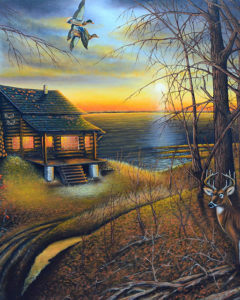 My love of classic wildlife and outdoor paintings is my passion. 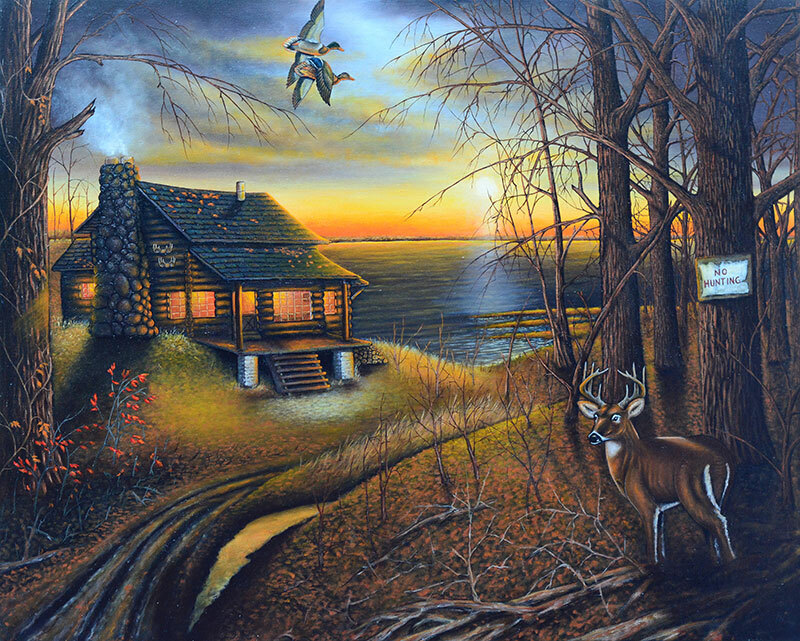 Nothing gives me the feel of the great outdoors like a fine hunting scene, maybe an old worn cabin retreat in the woods or perhaps an old farmstead with the native wildlife residing in its nearby woods and fields. Consider the wind-swept marsh or flooded timber setting with mallards twisting, turning and craning their necks as they look to get in there.